Welcome to this week’s round-up. This week we look at how you can become a better learner and employee by taking tips from athletes, how team sports can help you in a variety of ways and how to set up your own work-out routines. 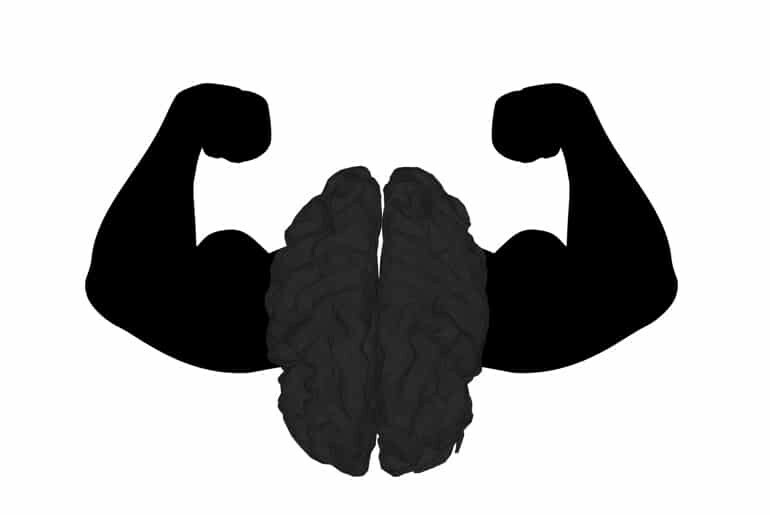 We also look at how you can become stronger mentally and how you can choose what you should be doing right now. Just like a 100 metre runner or a pole vaulter, you can be an athelete in your career as well. In this article Mark (a.k.a “The Productive Physician“) looks at the steps needed to become an academic athlete and the benefits it can bring to your career and outlook in general. Teams sports have a variety of benefits, of course you’ll get fit as a benefit but there are other ways that team sports can help your motivation, wellbeing and other aspects of your life. Sticking with sport, sometimes we can use the excuse that we can’t go to the gym or afford a personal instructor but now you can come up with your own tailor made fitness routine – and what better way to get a great workout than learning from a professional athlete. Still not sure you can cope on your own? Don’t worry! Jacky Anderson has put together some great videos explaing all you need to know to get the perfect (and safe) workout. I love sleep! I used to really struggle with drifting off, and when I woke up I felt like I hadn’t slept a wink but then I changed my mattress and I now sleep like a baby. Not convinced such a simple change can make such a large impact? Check out how to choose the right mattress from the Luxury Bed Co.
We’ve been looking at topics that affect small businesses recently and one of the biggest things that can impact on how well you’re perceived is your website. If you’re thinking of building a website or have a current one that you’re not sure is 100% optimised then this infographic will give you 10 ways you can make your website better for both you and your customers. When I was working a “typical 9-5” job the very first thing I’d do in the morning was get a cup of coffee but there are some very specific things you need to look at building in to your morning routine to supercharge your productivity. If you’re working for yourself then it’s important to ensure that you are tracking your time so you can bill your clients accurately and plan futuring project timings more accurately. While there are plenty of Apps that will help you with your time tracking, a lot of them rely on you remembering to check in and out of specific tasks and if you forget it can be a pain to add them in later. That’s where these timesheet templates come in – they’re in Excel (which you can import into Google Sheets) or PDF format and will help you keep track of your time so you’re not left out of pocket in terms of time or money in the future. I’m going to hold my hand up here and say that I am guilt of all of the bad habits listed in this article. They say the first step to fixing a problem is admitting you have one in the first place and now I know what I shouldn’t be doing, it’ll help me focus on what I should be doing. How many of the bad habits are you guilty of? Let us know in the comments. For years I have been a chronic procrastinator but I’ve slowly been able to overcome this thanks to my planning systems. While each journey is personal, seeing how someone else copes is a great way to evaluate how you’re doing things and give you insights on things that you can change for the better. As you can tell from above, I’m not the neatest of people as a rule. My house seems to have two states: “Palacial” and “Hit by a hurricane” so any advice I can get on how to find a happy medium is great. I do need to learn to collect less stuff, and that’s something I will work on but until I can get to that stage I’ll just build more storage! This infoographic higlights quotes from some of your favourite fictional characters. Each quote makes you stop and think about things and re-evaluate where you have come from an where you are going. What’s not to like from an infographic that combines quotes from William Adama, Batman and Dumbledore? We all feel angry at times, and sometimes old wounds can fester and reawaken. Psychology Today has some great tips on how to let go of past wounds and the anger associated with them. How many times do you walk into a room and forget what you went in there for? Forget a birthday or important deadline? Stop forgetting things with Treehugger’s 7 tips to remember almost everything. And if you want to rival Sherlock Holmes, this WikiHow goes into great detail on how to create a Memory Palace. Don’t think that tools that are marketed to business are just there to help you run your work life, they can also be really useful in helping you manage your personal life too. Whether you need a notepad or storage, this article will explain how you can use these tools to run your life. Are you doing what you think you should be doing or what you actually should be doing? How do you even know what you should be doing in the first place? In this guide, Will Haines takes you through the steps you need to go through in order to determine your priorities and set achievable targets. There’s also a free worksheet to help your through the process so you’ll be on track with your goals in no time.